Israel and the Netherlands have good trade relations for many years. 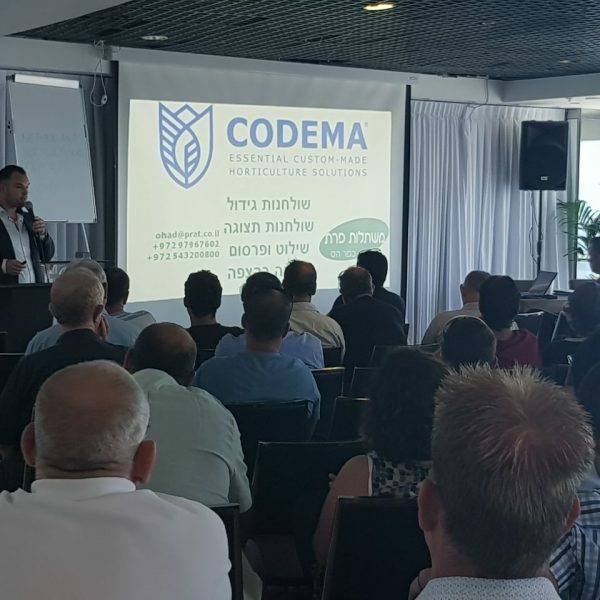 Yesterday, several companies gathered in Tel Aviv for a seminar on horticulture with main focus; Medicinal Cannabis. There were several interesting lectures and presentations on the program. 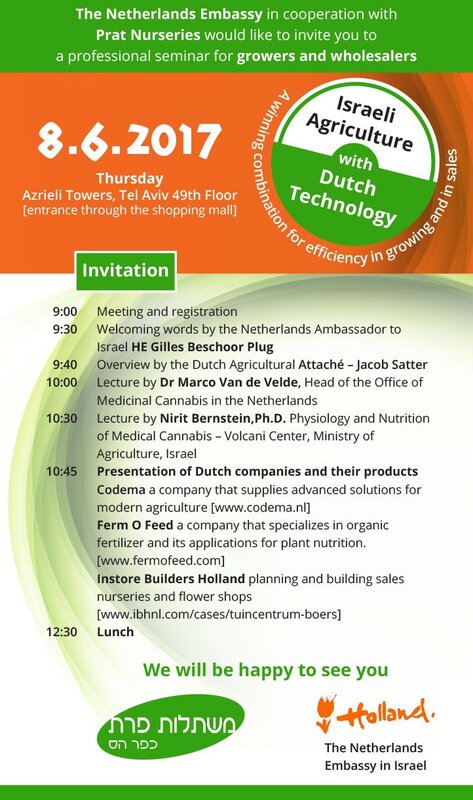 One of DR Marco van der Velden, Head of the Office of Medicinal Cannabis the Netherlands, a presentation by FermOFeed, a lecture of the Physiology and Nutrition of Medical Cannabis – Volcani Center and a presentation on modern horticulture and retail by Jelmer Huizing of Codema. The seminar was attended by 150 international guests. The Dutch ambassador of Israel was also present.